I think I’ll start a regular Friday post of funny photos(s) from my week. Today… We had three major toy catastrophes in the yard. 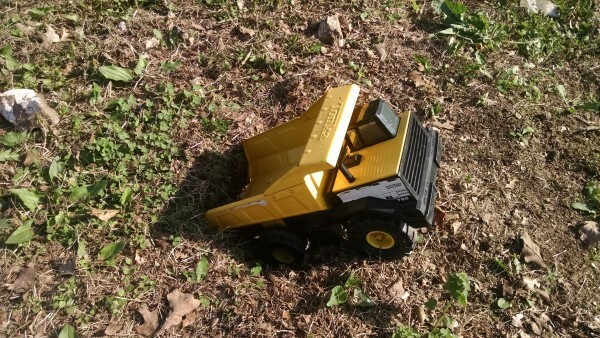 There was the dump truck mishap. Something must have caved under pressure. The fire truck didn’t make it to the scene of the accident. It was the scene of the accident. 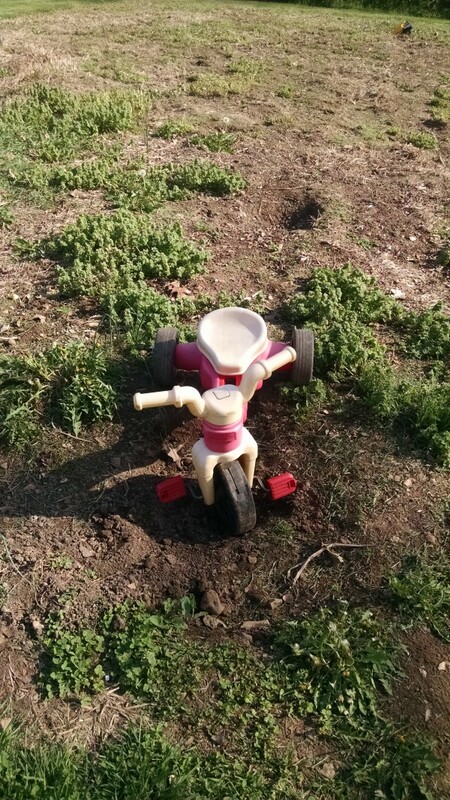 Finally, this tricycle didn’t make it out of the man[made] hole. From the look of that front tire, it’s not the first time. It was a rough day in this world of play. But… today I was a successful lawnmower mechanic and then got the lawn mowed and trimmed. 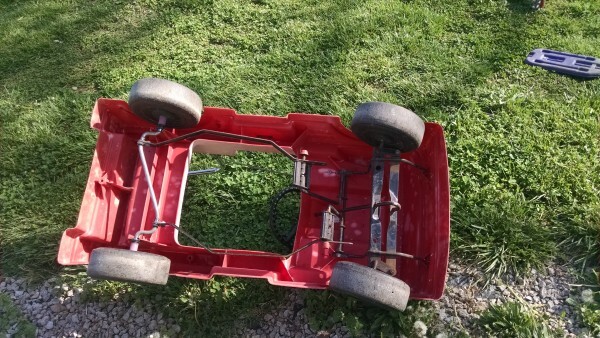 Still not sure how I managed to actually fix the mower. I thought I was going to have to call Blaine and tell him I’d made a thrown belt far worse when the whole deck belt contraption fell apart. I got it back together and miracle of all miracles, it worked! Don’t ask me to do that again. Not sure I could. I’m so confident of my skills I made the kids clear out of the whole yard before I started the blade. I had visions of it flying across the yard like a torpedo… and I hadn’t even touched the blade itself, just the belt that drives it. Confidence, I tell you. How cute the pics are and your explanations. LOVE it!! You truly are a jack of all trades lady. Funny!! Yes, start a post of funny pictures from the week! Awesome kid games!